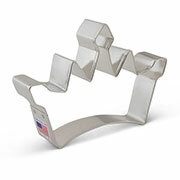 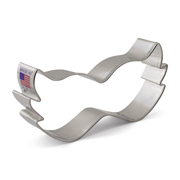 Join in the revelry of Mardi Gras (Fat Tuesday) with this festive 4 pc set of cookie cutters! 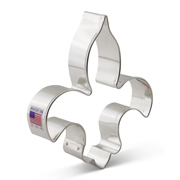 Use these shapes to turn your kitchen into a party zone, no matter how far away from New Orleans you may be. 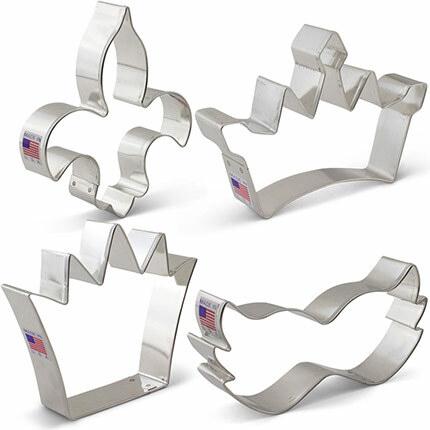 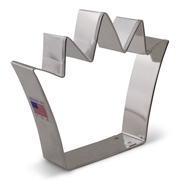 Mask - 2 1/2" x 4 1/2"
Princess Crown - 3 5/8" x 4 5/8"
King Crown - 3 3/4" x 4 1/8"
Fleur de lis – 4 3/4" x 4"